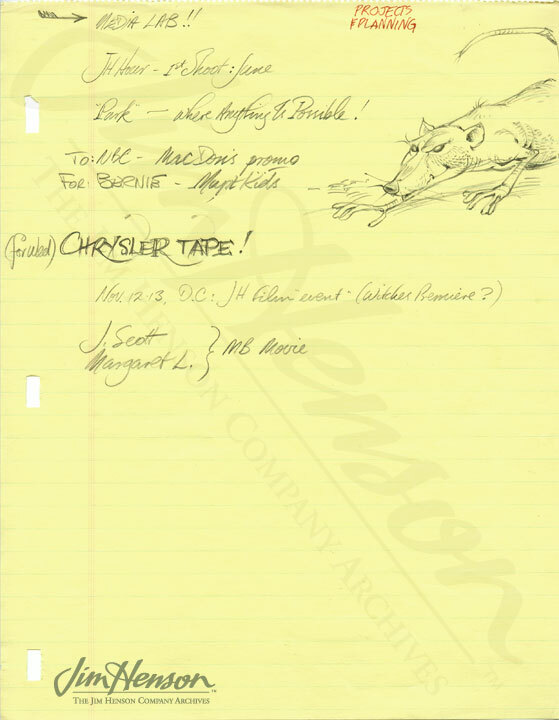 Michael Frith’s meeting notes from 1986 with a doodle inspired by discussion of The Witches. 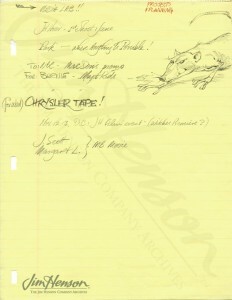 Storyboard panel from The Witches, 1988. Anjelica Huston as the Grand High Witch Miss Ernst in The Witches. 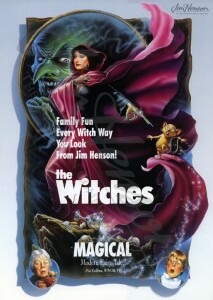 Poster art for The Witches, 1990. 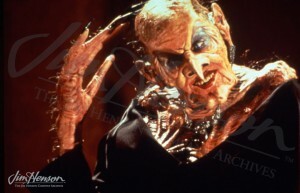 This entry was posted in 12-December '88, 1988, Witches and tagged Allen Scott, Anjelica Huston, Bernie Brillstein, Chris Carr, Creature Shop, Duncan Kenworthy, Jim Henson Productions, Lisa Henson, Los Angeles, Nicolas Roeg, Warner Bros.. Bookmark the permalink.